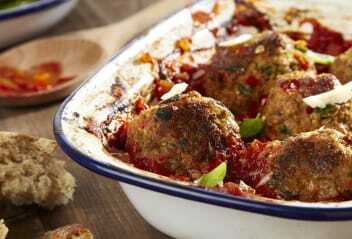 These delicious sausage and fennel balls are loaded with Italian flavours and textures. The Cauldron Lincolnshire Sausages give a moist, firm texture and combine superbly with the roast fennel, pine nuts and pumpkin seeds. 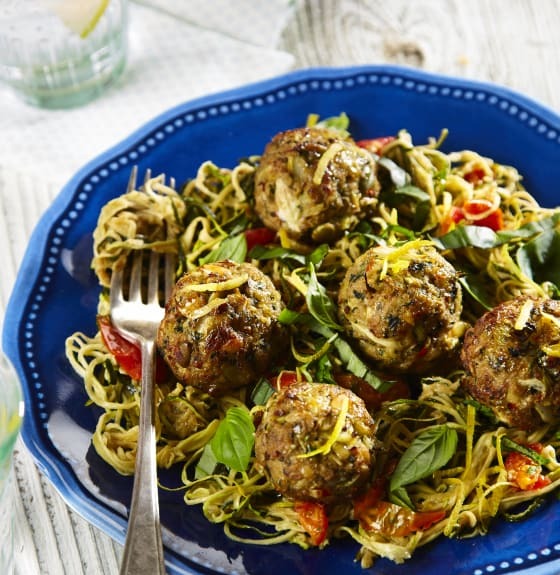 The polpette are served in a nest of light fine courgetti tumbled in a little pesto and sun blush tomatoes with a hint of lemon. Preheat oven to 200°C/180°C Fan/Gas Mark 4. Drizzle the olive oil over the fennel on a baking tray and roast for approximately 20 minutes. Add the pine nuts and pumpkin seeds and bake for a further 5 minutes until the seeds are toasted. Allow to cool for 5 minutes then place in a food processor with the Cauldron Sausages, nuts and seeds, garlic, chilli and cheese pulse until chopped but still chunky. Add the breadcrumb, egg, salt, black pepper and basil. Mix well. Form into balls approximately walnut sized and place on a baking tray. Brush with oil and cook for 12-15 minutes until golden brown. 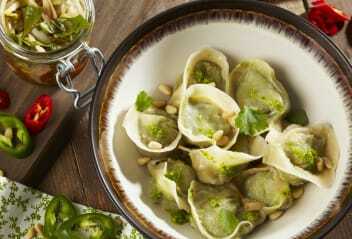 Cook the courgetti or pasta, drain well and toss with the pesto and lemon juice. 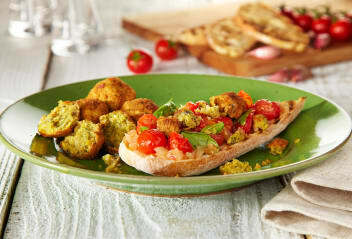 Add the sunblush tomatoes, basil leaves and top with the Cauldron Sausage and Fennel Polpette. TIP: Any leftover sausage balls can be frozen before cooking.